Long Distance Caregiving: Is Your Aging Parent Safe At Home? It can be jarring when you return home to see your parents after some time and find them a little more white around the ears than you remember. If you are responsible for the care of an aging loved one who lives far from you, you may not get to see your relative or parent as often as you would like. Perhaps you are concerned that your parent is not receiving the proper care they may need, especially if their physical or mental health is declining. If this sounds like your situation, you aren’t alone. 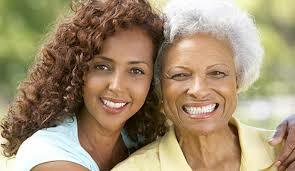 A recent study found that over 6.6 million caregivers and their relatives live an hour or more away from each other. [i] It can be an eye opening experience if you don’t live locally. It becomes obvious help at home is needed. There are warning signs to tell when your parent or loved one needs help at home. These signs can range from neglecting their financial responsibilities, their home, or their appearance and health. We all may have dropped the ball when it comes to financial obligations, but if you notice that your parent is repeatedly (though unintentionally) ignoring their fiscal responsibilities, it may be time to intervene. Bounced checks, calls from collection services, notices for unpaid bills are all signs an aging parent may need more assistance from you. Additionally, if your parents’ home appears poorly maintained, or there are broken appliances or a general sense of disorder or dirtiness, this could be a sign they aren’t capable of keeping up on routine home maintenance or aren’t aware of their surroundings. But outward signs such as trouble remembering to pay bills or taking care of their home aren’t the only warnings. If your loved one seems to undergo mood changes, especially more extreme mood swings, or seems confused while doing a familiar task, or forgets to take medication and seems disinterested in activities they once enjoyed, they may need more monitored care than what they are getting. Watching your parent grow old can be difficult. Aging is a natural process, but that doesn’t mean accepting your parent may no longer be able to take care of themselves is any easier. Whether you live long-distance or locally, the decisions that come with finding the right care for your parent or relative are challenging. Your relative may exhibit multiple warning signs but is reluctant to move to a care home. You may not want to put them in an assisted living facility but fear they could hurt themselves without someone around to monitor them. Initially, you and your parent may feel more comfortable with yourself filling in as their primary caregiver. However, the responsibilities often grow as your loved one ages, which puts additional stress on you. Providing care from a long distance is even more stressful. You may not have the time to give your parent the full amount of care they need to have a good quality of life, or your caregiving role causes your own quality of life to deteriorate. Maybe you currently find yourself in this situation already. Hiring a caregiver is one way to give your loved one the care and support they need while maintaining a degree of independence at home. If you and your relative live far apart, in-home help will give you peace of mind. When you do decide to choose to hire someone to help your parent at home, there are several options available. 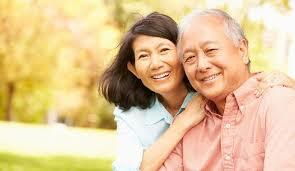 You can hire a caregiver independently or look for one at a reputable agency. Hiring a caregiver on your own creates more work for yourself. You become their private employer and have to deal with the paperwork and legalities this route entails. There is a lot of work involved in making sure you are hiring the perfect caregiver. From screening, legal documents, payments, and billing, this route is a very intensive process. Choosing to hire a caregiver from an agency like MeetCaregivers can relieve much of the stress associated with getting the help you and your parent need. 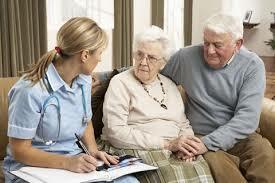 Providing local, individualized care to your parent is one of the best things you can do for them and yourself. Not only will you rest easy knowing that a qualified, compassionate caregiver is available to help locally, but your parent will also be able to live their life in peace and comfort at home. Looking for more resources about caregivers? Our blog has plenty of information for you to read and learn about the topic.